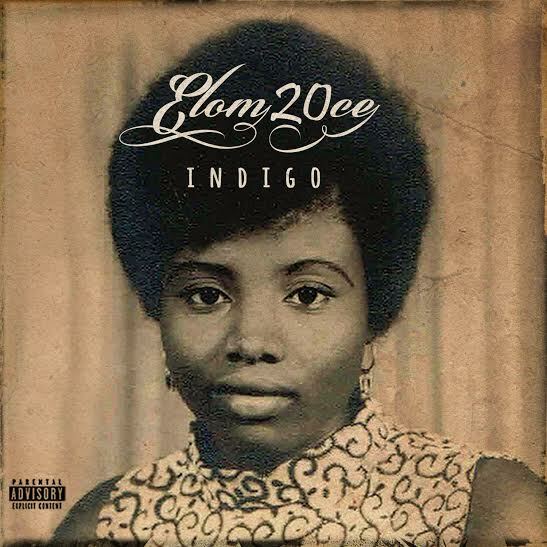 INDIGO : It is the name of new album by rapper Elom 20ce. A title that serves as a reference for a jazz classic “Mood Indigo” written by Duke Ellington and Barney Bigard. Indigo is pain at it’s supreme level. It is dedicated to all anonymous, to mothers - the stranger on the cover is actually the artist’s mom - to outcasts, to all of the little people who make the Earth’s heart beat. He mentions his first album “Analgezik” launched in 2012 as “ a success of esteem. Of scenes. Of encounters.” Moreover, these encounters are one of the major asset of this second album. Proof is the song “ Comme un poison dans l’eau” (NDLR : “Like poison in water”), is shared by Elom 20ce with rapper Le Bavar, from the inevitable group La Rumeur. On the track “J’ne pleure pas ce sont les Oignons” (I’m not crying, it’s the onions) it is the rapper Oxmo Puccino who doesn’t need further introdutions in the french rap game and the ancient voice of the beninese singer Pepe Oleka that come along. Through Indigo, this devotee panafricanist note with bitterness that Africa has everything to be mighty thanks to its incredible wealth but still has very empoverished populations. Indigo is also a message of Hope. Another highlight of the album is its live sound. Elom called upon renown musicians such as Ribouem Aimé and Nathalie Ahadji (Saxophone), Elias Damawou (Trompette) but also Charles Duwor (jazz pianist), who collaborated with many great musicians such as Hugh Masekela. A beautiful fusion with Hip-hop beats by bassist and drummer Alexis, Hountondji, Engone Endong and scratch by Crown (Grim Reaperz). After “Théorie du chaos” ( Theory of chaos) and “Castration mentale” (Mental castration), his last video “Voodoo Sakpata” came out mid-september 2015 on the website THUMP. Used to shake up the standards, this spiritual son of Fela and of Franklin Bukaka present us on Indigo an interview with historian and writer Amzat Boukari-Yabara. Dare to “invent the future” like former Burkinabese president Thomas Sankara used to say.